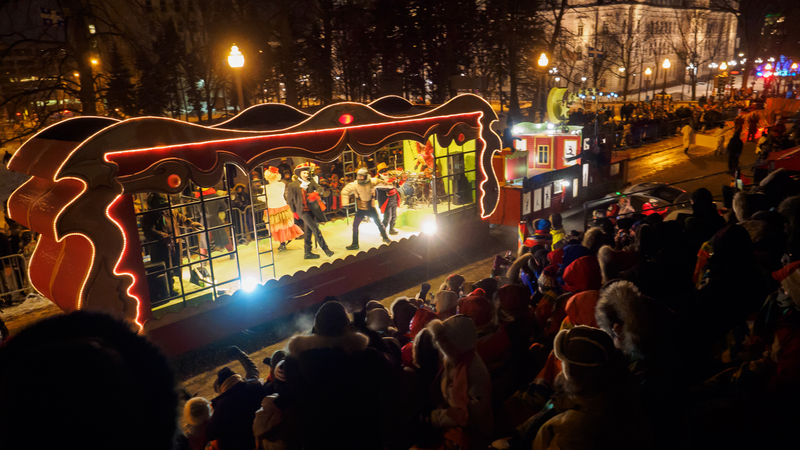 Experience the Parades like never before! Treat yourself to an unforgettable night with the best seats in the house: the VIP stands. Starting next year, a new, more modern formula will feature two Saturday Parades on a denser, 1.3 km course over Grande Allée. This new concept will include the ideas of many creative agencies, each responsible for a given scene. Thus, the Parade will include five large-scale scenes poised to be more diverse and aerial. · Seats in the VIP stands. · Carnaval fleece blanket (worth $19.99). · Free bar service (alcoholic or non-alcoholic drinks). Be quick, places are limited! Be advised that this package doesn't include parking and that the road will be closed 1h before the parade starts, i.e. from 6 p.m. onwards. Scheduled arrival time of the parade in front of the VIP stands: 20:15 p.m.